Roulette bets can be classified into inside and outside bets. Inside bets are placed on number grid while outside bets are placed on layout. Roulette is certainly one of the most popular casino games due to its simplicity and the numerous winning opportunities it offers. It is played by spinning a small ball on a wheel mounted on a table and a carousel with slots marked 0, 00, and 1 up to 36. The objective is the get the ball fall of the wheel when the wheel and ball loose momentum to roll and rest on one slot in the process determining the winner(s) and looser(s). If the ball rests on your chosen number or numbers you win and when it falls outside your chosen number or numbers you loose your bet. You may opt to bet on specific numbers or on some characteristic that applies to a group of numbers. Betting on particular numbers promise and do pay more profitably but require real luck to win unlike betting on characteristics which have a greater chance of occurrence but pay comparatively lower profits. While making your bets you should follow the roulette strategies. Inside bets are bets placed on particular number or numbers and attract generally higher payout ratios which decline with increasing numbers. There are several betting options under inside bets as are enumerated below. Single number bet requires you to bet on only one number and incase you win you are paid in the ratio 35 to 1 on your bet. With the roulette slots being 37 or 38 depending on the version you are playing, getting a correct bet on one number out of 37 or 38 may be challenging. Two number bet allows you to bet on two numbers in one spin with an improved probability of occurrence but reduced pay out ratio of 17 to 1. Three number bet require you to bet on one row on condition that if the ball rests on any one of the three numbers then you win and are paid in the ratio of 11 to 1. Four number bet is also called corner bet and requires players to bet on four numbers forming a corner and are paid in the ratio of 8 to 1. 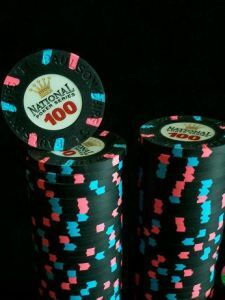 Five number bet applies in the American version of roulette and is considered the least desirable since it gives the dealer an additional edge. It pays in the ratio of 6 to 1. Red or black bet is of the outside bets players can make and require that you choose whether the ball will rest on a red or black slot. This promises a lower pay out ratio of 1 to 1 but a significant probability of occurrence. Odd or even number bet operates exactly like red or black bet and attracts the same conditions. Higher or lower number bet is the third in this series of bets with 1 to 1 payout ratio and more than 47% probability of occurrence. You can always practice your roulette skills in internet roulette.